"Graphic design and typography give visual form to communication. For geographers this is the oft–ignored liminal space between landscape and its description, author and reader. For designers it is a crucial part of the communication process. 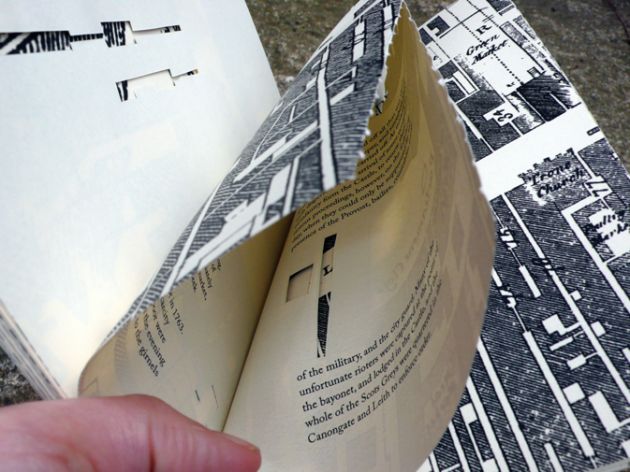 This practice–led inquiry proposes that by developing a cross–disciplinary geo/graphic design process thus establishing the visualisation of space as a process itself, and not by the product of scientific investigation, designers will engage with place in a more proactive and productive way in terms of community, content and communication. Chosen for its complexity and its contrasting juxtapositions, the London Borough of Hackney will be used as the research and testing ground for the enquiry. Contrasting definitions of place will be used to underpin the project. [Doreen] Massey's notion of place as process and [Yi–Fu] Tuan's vision of place as pause will frame the study in such a way as to recognise place as a postmodern site of spontaneity and chance, but one that is shaped and known by events both past and present. An ethnographic methodology will be used to gather and analyse content. Methods of collection will include cultural probes, participant observation and interviews. This content will then be used to develop a series of print based design projects that will explore the problem of representation in a postmodern context, and lead to the articulation and testing of a geo/graphic design process." "Designit is Europe's largest and most international strategic design consultancy. We create products, services and experiences, across industry sectors and media. Our aim is to create strong and healthy business value through design. Together, we're a zoo of talented creatives, effective communicators and accomplished business strategists, all working closely together to deliver meaningful design–driven solutions for people, planet and profit." 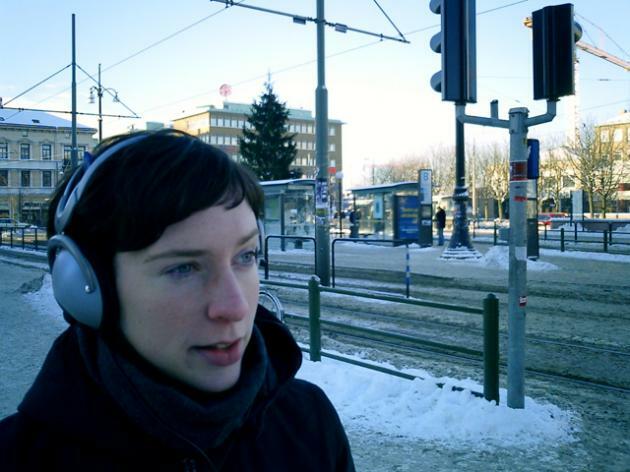 "To understand users needs and desires we are using a variety of research and development methods from cooperative design, CSCW (computer supported cooperative work), industrial design and ethnography. 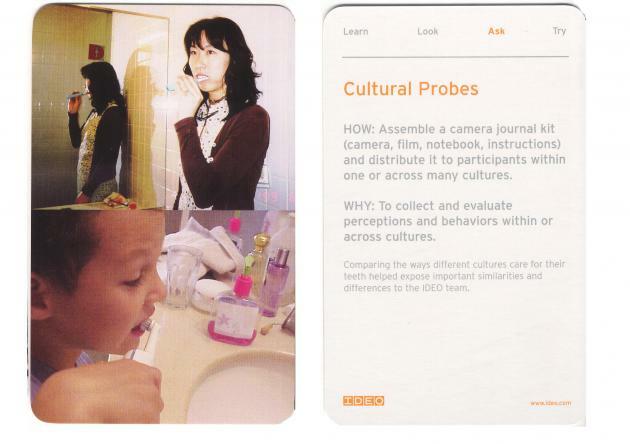 Some of the methods used are cultural probes (Gaver, B. & Pacenti, E. 1999), workshops (Westerlund et al, 2003), technology probes (Hutchinson, H. et al, 2002), observation and interviews. 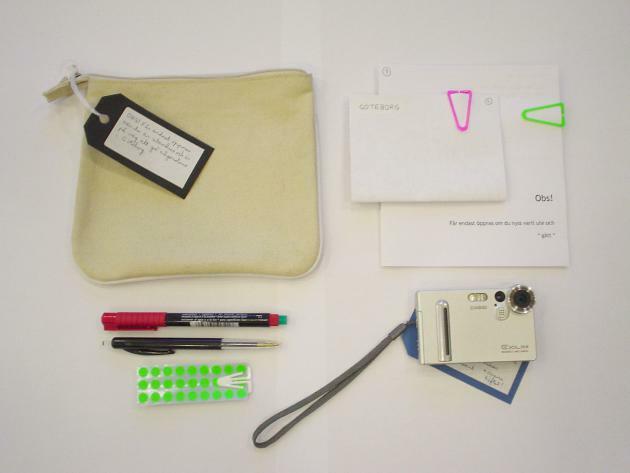 The cultural probe method is an open–ended self–documentation activity that in our case involved taking photos and video as well as writing diaries. These would hopefully reveal more of the individuals' preferences, desires, context and needs. This would be done much with the users' own categorizations. 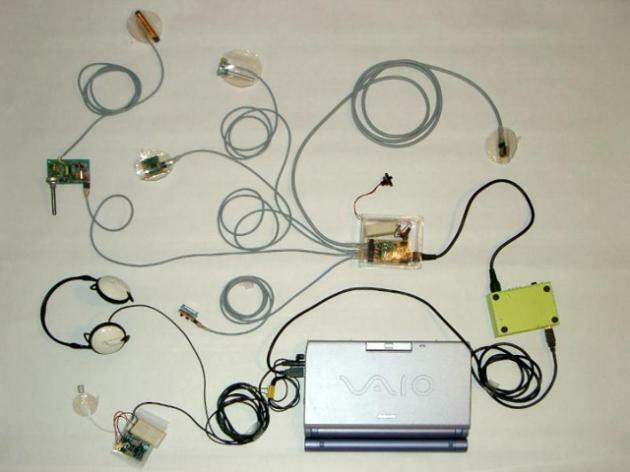 Technology probes were invented to collect information of how users would use, to them a not known shared communication artefact. The technology probes are based on well–known technology, they should be easy to use and open–ended. Technology probes combines the social science goal of collecting data about the technology use in a real–world setting, the engineering goal of field–testing technology and the design goal of inspiring users and designers. 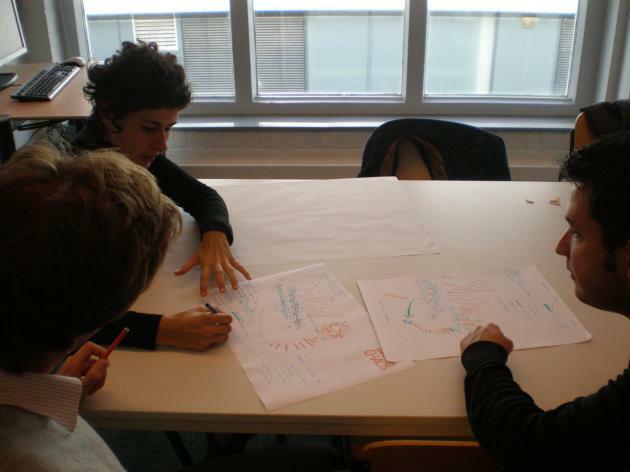 The workshops themselves included several methods, like brainstorming, building scenarios, video–prototyping, low–tech prototyping, etc (interLiving, 2003). Instead of general descriptions that are reduced and without detail, we focus on actual descriptions of real situations that make sense to the family members. These descriptions should cover the whole context of the situation. We encouraged the group to think of communication situations that would have been problematic. From that they made scenarios, both written and drawn, but most importantly stage it and videotape it. Through videotaped scenario iterations they refined their design ideas."